Living on an island never gets boring! 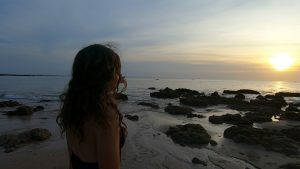 The fact that I can swim, do yoga and explore new things makes Koh Lanta a relaxed island for me. Spending my free time in nature is something I really like. Also, the quality of living is great here! 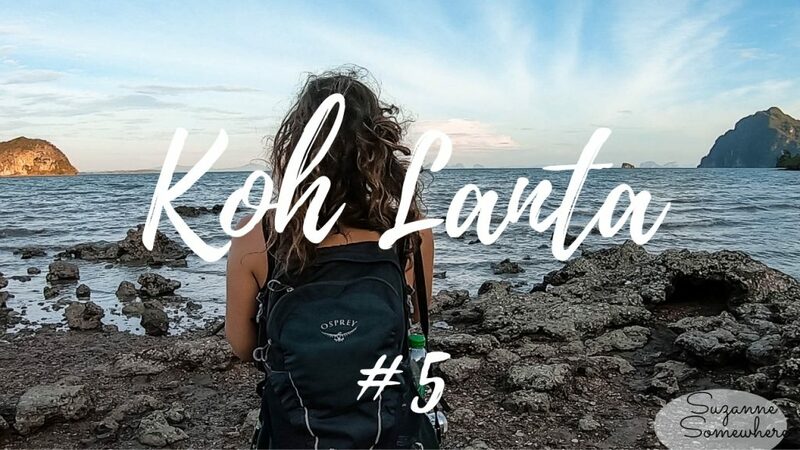 This is gonna be a big blog post full of my best tips about living and working as a digital nomad in Koh Lanta, Thailand. Koh Lanta, the pretty tropical island. Koh Lanta is an island in Thailand. It has definitely a lot to offer. Relaxing, sports, shopping, culture and a lot of nature. 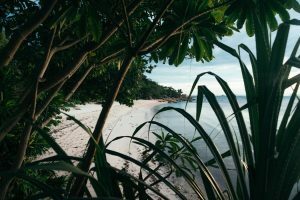 Most people know about the national park, the snorkelling and the tropical beaches. Koh Lanta has different seasons. Hight, peak and low season. tropical monsoon climate with two seasons, dry (November till May) and wet (October till April). 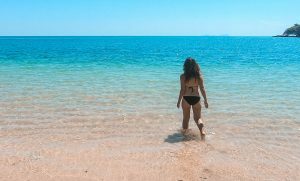 In this guide, I will tell you everything about living and visiting Koh Lanta, because this place is worth to see! The weather in high season is amazing. The beaches are nice and sandy. 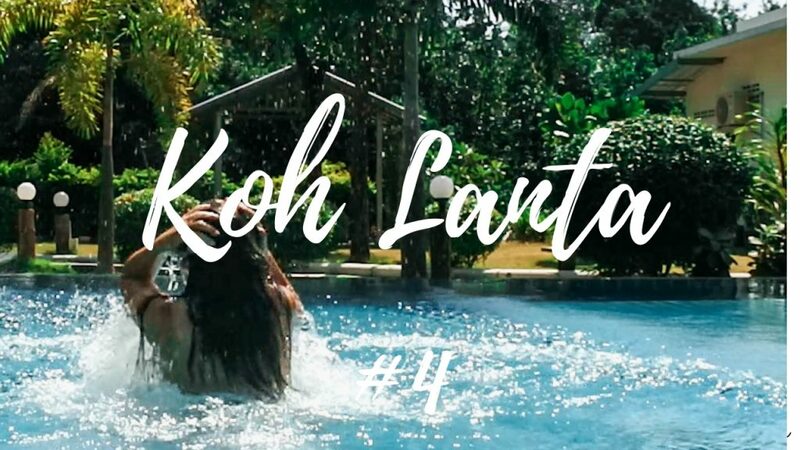 Because this review is honest, I also will give some reasons why Koh Lanta is maybe not your place to be. Don’t get me wrong, I love this place, but there are some things worth to consider if you are going. 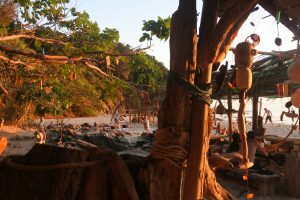 Koh lanta is a really relaxed island, but besides that there isn’t a big partylife or nightlife. It’s quiet. That’s all I could think of. I know that I probably won’t find a place where everything is perfect, so for me, it’s not a problem. But it’s worth to consider if you’re going. Anyways, I loved Koh Lanta and I am excited to share my experiences. First of all, you need a valid passport for a visit to Thailand. Most of the countries have a visa on arrival for one month, but it’s also possible to get a 2-month tourist visa. 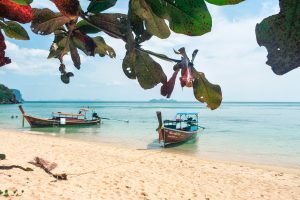 You have to arrange the 2-month visa at your Ambassade in your home country or you extend your visa here at the embassy (you can do it in Krabi (close to Koh Lanta). Make sure you have a return ticket when you’re coming to Thailand. 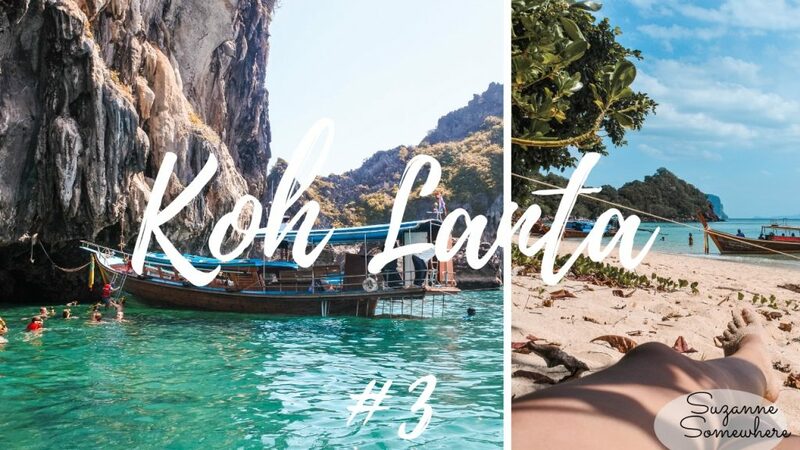 How to get in Koh Lanta? 1. Take the boat from the pier, that takes 1,5 hours and costes 300 bath. 2. Take the minivan, that will take 2-3 hours and will also costes 300 bath, most of the time this is with a drop off at your guesthouse/hostel. There are a lot of places you can stay, guesthouses, hostel, hotels or Airbnb. It totally depends on the kind of budget you have and how you would like to travel. Overall, the prices online are quite high, definitely in high season. It helps if you book something for a couple of nights and talk with the owner if you can make a cheaper deal if you stay long term. Average: Grand house, close to Preah ee beach. I loved this place. The rooms were nice, there is a fridge and the shower works pretty good (also warm water!). It costs me 15 euros a day for a big room. Other nice and cheap options: Alif apartment (1 and 2), Lanta sky house & Lanta Smile inn resort. There are a lot of different ATM’s. Didn’t find one with the best rates, there are pretty much the same for my dutch card (ING). But make sure you take out as much as possible because there is always a couple of dollars fee when you take out money. I highly recommend buying a sim card in Krabi, before you take the ferry. You can do it at the AIS shop. It will cost you around 6euros for unlimited internet for a whole month! (LINK). Otherwise, you will find them at the 7eleven in Koh Lanta. The most common transport is renting a scooter. I can recommend Dachanat service car & motor rental. This place has scooters from 3.000 a month (where other places ask easily more than that) It’s close to Prae ae beach. Scooter rent in bath: daily (150-250 a day), weekly (+/- 1.000 ), monthly (3.000-5.000). Of course, the amount of money depends on the kind of motor, but also on the scooter rentals. There are a couple of places that don’t ask fair prices, so make sure you don’t pay to much. 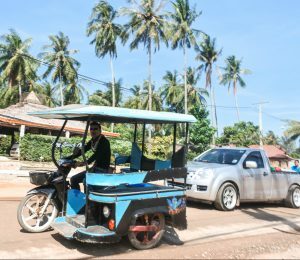 These taxi’s you will find everywhere in Koh Lanta. So don’t worry if you don’t want to drive. Laundry places are all over Koh Lanta, I haven’t tried all of them, but most places offer service from 40 baths a kilo. So make sure you don’t pay more than that. Most places offer btw a daily service, so you bring it in the morning and you can pick it up again in the afternoon. Most cafes and accommodations have good wifi. It can be handy to buy a sim card for data. 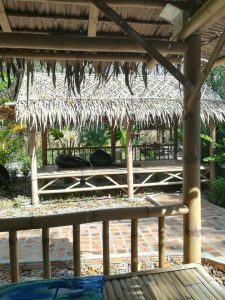 In Koh Lanta, you have one coworking space: Koh Hub. You can buy a day pass, weekly or monthly passes. The co-working spaces are also offering co-living. 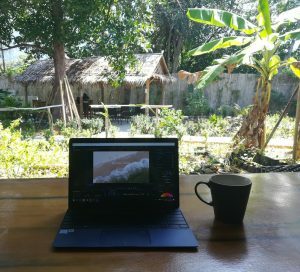 If you’re curious how it is to work in a co-working space in Koh Lanta, Stay tuned! There will be a review coming on my blog about my experiences. I already made a talking review/vlog about it, click on the picure to check it out. Aleena minimarket (offers a lot of breakfast items, also banana vegan bread and pastries). – OA Restaurant (Cheap local food, but don’t go here with a big group, they are pretty slow, but fast when you are just with a couple). Freedom bar: shakes and chill vibes. Monkeybar: Friday nights karaoke, also pool tables at the place. You will find small minimarkets everywhere. But if you really search souvenirs or cheaper items go to the old town, there are are a lot of options there. 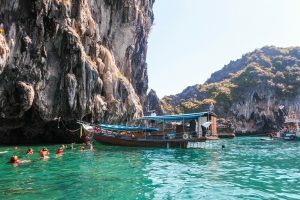 If you need a decent mall or something specific, you probably have to go to Phuket or Bangkok. If you’re up for a yoga class, there are a lot of schools where you can buy a lesson or weekly passes. I collected a couple based on budget. ($) Oasis yoga, Lanta Yoga. Definitely, do a snorkelling tour and a 4 island tour. But, please check the weather, because it can be a bit bumpy haha. The price for a tour is normally between 700 and 1000 bath. I made a vlog about my snorkelling trip, so if you’re curious, click on the picture and have fun watching! 2. Visit the national park. 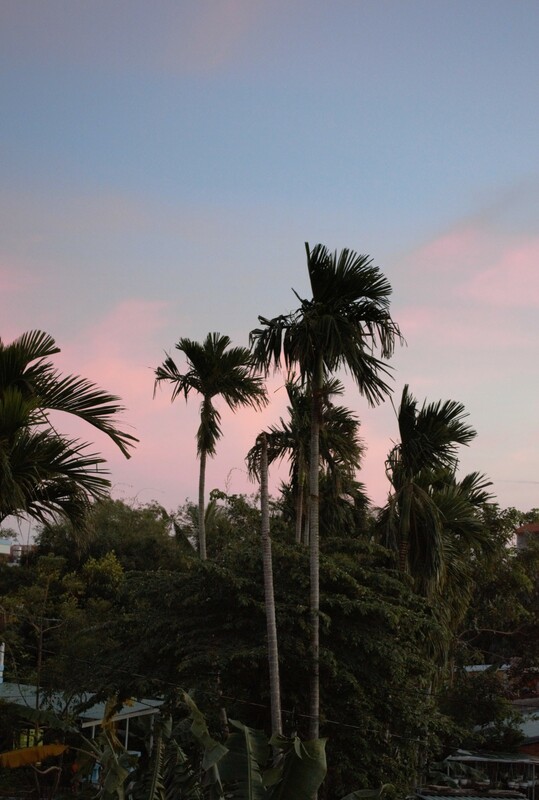 The fee is 200 bath (a couple of euros), the place is full of monkey, a pretty beach and the ride to the national park is also full of pretty views. I also made a vlog about that, feel free to watch! A quiet, less touristy island of Koh Lanta, full of pretty views. I loved to drive around and see an other side of Koh Lanta. Check out the vlog to see more! 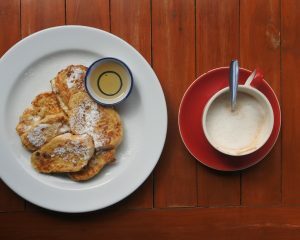 + High-quality food places, nature, amazing local food restaurants, islands vibes & Thai cultures. 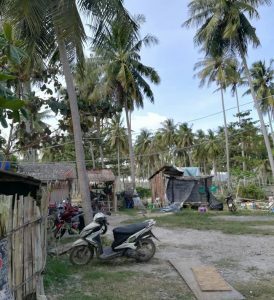 – Accommodation is a bit more pricy than in other places in Thailand, you need a scooter to get around (a bike is also possible), shopping is more souvenir than proper clothes. 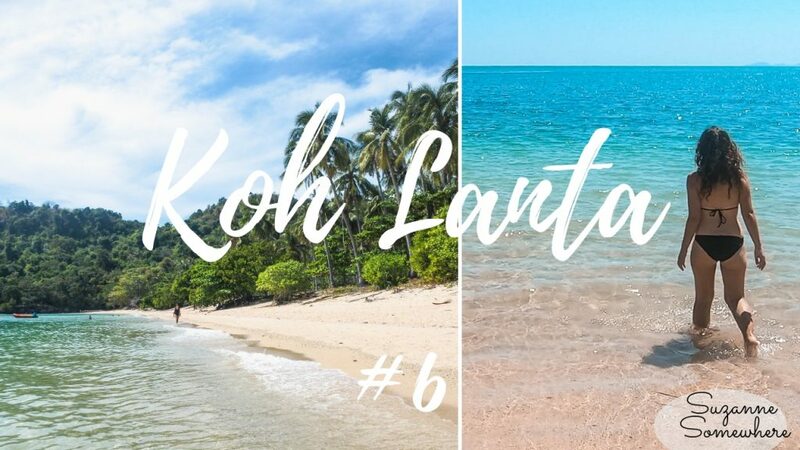 I hope this guide will make living a Koh Lanta a bit easier. Let me know if you have some tips for me of places I missed and have to discover. 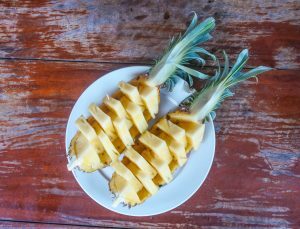 How was my one month co-working experience in Hub Hoi An, Vietnam?